Depending on how your notification delivery is set up, you can either access your notifications on GitHub Enterprise or through your email client. If you have email notifications set up, you can access your notifications through your email client. For more information, see "About email notifications." If you have web notifications set up, you can access your notifications through GitHub Enterprise. For more information, see "About web notifications." In the upper-right corner of any page, click . 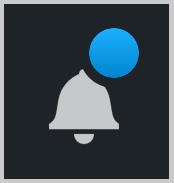 If you've disabled web notifications and you don't see the bell icon, you can navigate to https://github.com/watching. 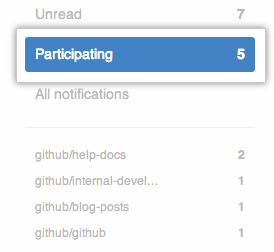 In the left sidebar, to see all notifications for activity you're participating in, click Participating. 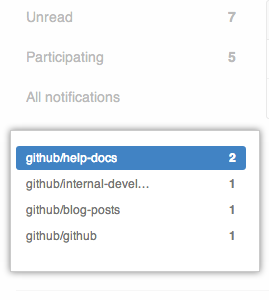 In the left sidebar, click the name of a repository to see notifications for a specific repository.